People hate budgeting or learning to make a budget (myself included). I mean really, really hate it. 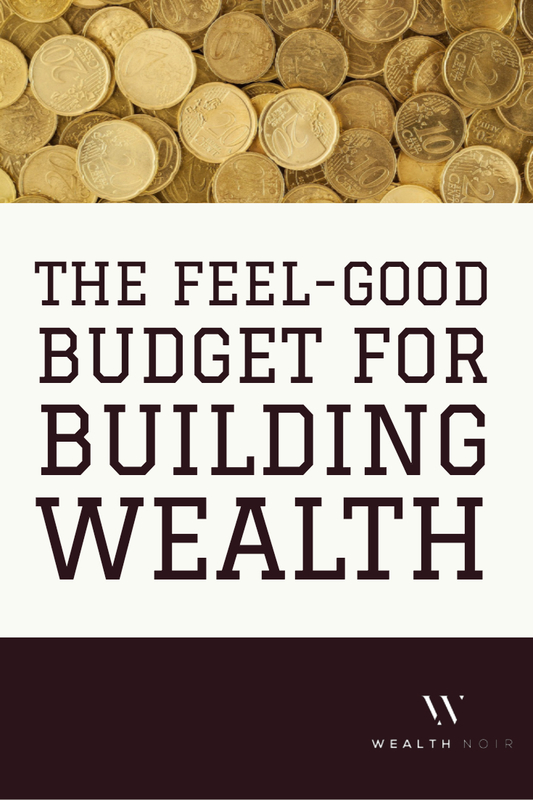 The thing is, everyone needs a budget … even if you are rich (especially if you are rich). If you are spending more than you make, you will go broke. Building wealth and reaching financial freedom can be guaranteed only through saving. There are many ways to build wealth, but unless you spend less than you make and build capital, it’s not going to work. I’ll tell you now, this system is too simple for some. This system is aimed at those with solid incomes. If you are living paycheck to paycheck, you’ll need to do some additional work to ensure you meet the following conditions. You can safely afford to eat, shelter, clothe and entertain yourself. You have discretionary spending (for things you buy that you don’t need). You have a reliable source of money (employment, company ownership, inheritance, hustling). Now that that’s out of the way, the budget. The first time you create a budget, you’ll need to do a little work to set it up. And don’t worry if the setup isn’t perfect. It’s better to get the setup kind of right and then modify it instead of not creating a setup at all. Start by figuring out how much money you spend. A service like Personal Capital helps a lot. But, Microsoft Excel or Google sheets will probably be needed for a historical look back. You need three numbers. Figure them out on a monthly basis. If you are too lazy to actually figure them out, make an educated guess and adjust later. Rent, car note, gas, health insurance, minimum credit car payments, etc. These are the things you need to pay or very bad things happen. Groceries, eating out, traveling, clothes, movies, electronics, etc. These things make you happy, but if they disappeared, or if you had to cut their spending by 50%, you would be able to still live and survive. For example, you need groceries, but you have a lot of flexibility to control how much you spend. The money being used for saving and investing. This includes 401k & IRA contributions, plus a travel savings fund. In order to make this work, you need some bank accounts. Separate bank accounts make budgets super simple and easy to manage. For the main bank, there are a lot of options and you probably already have an account. We like Capital One 360 for a savings account because of the ease of use and higher interest rates. A place to put all of your money. Put your paycheck and income here. Make sure it has bill pay, because this is where most of your bills will get paid out of. Within the same bank (for quick and easy transfers), you need an account with easy access to money and a debit card. You should have a place to stash money for the long term. It should be hard to touch this money, and withdrawals from this account only go into other investments (stocks, a house, children’s college tuition). This is the money you’ll be putting into your investments over time. We are now at the core of the system. The special sauce that makes it easy to stick with and will put you on the right path to keeping your finances managed effortlessly. All of your regular income goes into your main account. Setup all your direct deposits and income to go into this account. All of your utility and essential bills come out of the main account. Use bill pay to have this done automatically and plan to keep a cushion here for small variations, such as an unexpected heating bill or an oil change. Convert your monthly discretionary spending into a weekly number. (Divide by 4.3, the average number of weeks in a month.) Create a daily, weekly, or monthly transfer from the main account to your spending account. If you are worried about managing the budget, more frequent transfers help avoid spending a months budget in a day. Saving is the key. The point of a basic budget is to grow your net worth. Make sure you pick a real, but conservative discretionary spending number. Don’t spend more than you make!!! Now … go crazy with that spending account. You can literally buy whatever you want. Spend it all on food, drinks, or glow in the dark socks. Who cares! You have foolproofed your spending. It’s now impossible to overspend. Don’t cheat. You can make adjustments, but the goal is to save and build wealth, not buy everything you want. Be honest about how much you really need to spend on discretionary items. If you did the setup right, your main account (or savings account) will grow over time. Since you can’t accidentally spend too much, your main account will grow. When it’s big enough, you are ready to invest it, maybe through a robo-advisor or in real estate. If your main account is running out of money or getting close, you are transferring too much to your spending account. Time to scale back. Personally, it took months for me to get the numbers right. 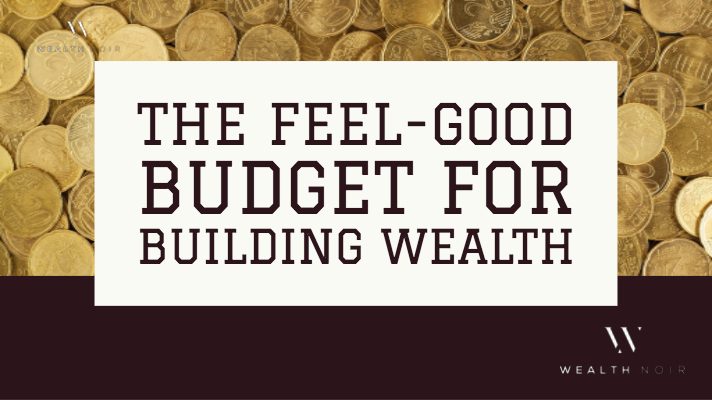 I wanted to make sure I was building wealth, but it was hard adjusting to a weekly budget. But, once I got it right, it’s completely effortless. If you didn’t elect for the online savings account, rethink that decision. An online savings account will help ensure you don’t accidentally spend your savings and give you a better interest rate. When you have enough, your investment options will really start to open up. I also like to put bonuses or unexpected money here to make sure it’s not squandered on popping bottles … a habit that took me a little time to break. The goal here is to remove the work of tracking and categorizing all your transactions every month. You have a debit card and account, and you can do with them whatever you want. As your goals change or your income does, revisit and adjust. I’ve used this system for years, and it’s ended fights about money with my wife and made it easy for us to build wealth by keeping spending in check. How do you handle budgeting? Any tips or tricks you have for the community? Leave a comment and join the discussion. Can you recommend any good budgeting apps? I would try personal capital or YNAB (You Need a Budget). I used to use Learnvest and swore by them, but they’ve discontinued their budgeting app. A lot of people use Mint, but I’ve never been a fan because of the high number of “targeted” offers.